A sense of control in your environment is critical to all birthing mothers but it is especially important to loss families. By choosing your birth environment and provider carefully you can choose to minimize or eliminate potential conflicts and misunderstandings as you work towards a safe and healthy delivery. By choosing your birth location wisely, as it may have a powerful influence your experience. The birth location is more than a room that you birth in. Its not just a hospital, birth center or your home. It an environment that should create a safe haven so that you can relax and birth your baby as needed. Every possible birth location comes with a background and expectations around birth, as well as a practice or a process around pregnancy, birth and postpartum. Some locations off the best equipment in case of an emergency and others offer the safety and security of the known and familiar. No matter what location you choose it is defined by the staff and their background, the space itself and the rules of operation and the objects with in the room. The room you deliver in should support your needs and desires for security and safety. What each woman needs and desires in birth is different and specific to her. She should have the ability to make requests and be treated as an individual. Know your birth location options so that you can have the experience you need or desire. At what point should I expect to arrive when in labor? What can I expect when I arrive in labor? If I am choosing induction or a cesarean what can I expect? Will the team of doctors, midwives and nurses be experienced and respectful of my birth preferences and unique situation? Including allowances for visitors and clergy? Can I make specific requests for providers? In order to have a more supportive team or to avoid previous poor experiences. At what point in pregnancy or labor might the plan of care change? By asking critical questions prior to pregnancy or birth you can understand the uniqueness of each birthing space instead of having to respond to an environment and the staff. Being unprepared hinder the peaceful healing birth you are looking for. Hospitals are the most common place for women in the US to deliver in. Hospitals offer the highest level of support in the event of an emergency. The availability of an operating room and high level neonatal care can offer assistance if needed and yet also can offer security for unknown serious complications. Hospitals do have protocols and systems in place for patient management due to their higher volume and more complicated case loads. In a hospital it is common to share your nurse with 1-2 other patients and both providers and nursing staff rotates as often as every 12 hours with a new team coming on. Most hospitals are staffed with obstetricians so progressive hospitals offer collaborative care which allow for in hospital midwives to work side by side with their OB counterparts offering choices in support to their clients. A birth center birth offers a safe space outside of the house for birth, that is also out of the hospital, for families looking to avoid hospital protocols. A birth center will have access to the same medical equipment as a hospital for a low risk, natural birth. 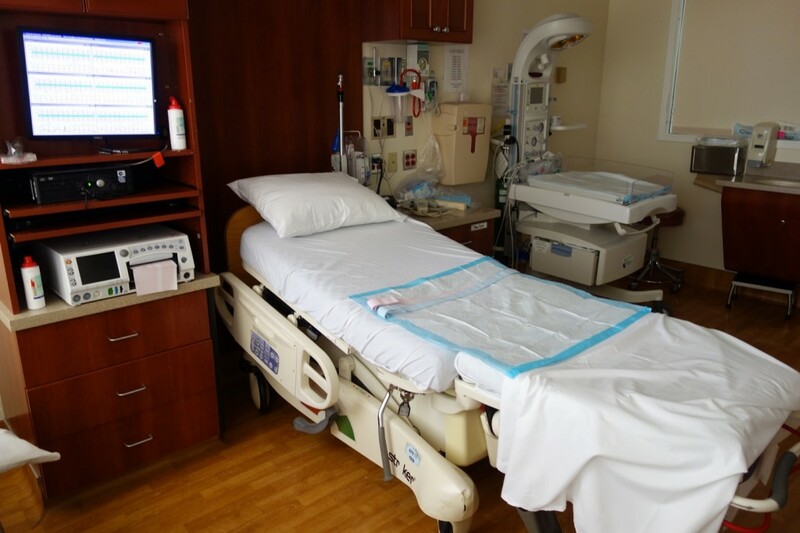 Chemical pain management is not available in the birth center however birth centers usually has access to a large birth tub for pain management as well as other natural birth options including freedom or movement, less restrictive monitoring and more freedom from expectations. Midwives typically attend out of hospital births with a birth assistant. Home birth offers all the comforts of being at home with your provider bringing into your house all the necessary medical equipment. Home birth moms report enjoying not having to travel in labor, feeling more safe in their own environment and more in control of staff and visitors. After a home birth the mothers stay in their own beds and sleep as desired without being interrupted by staff for regular checks. In an out of hospital birth, either birth center or homebirth, in the event a transfer for mom or baby become necessary, the provider would make all arrangements and either the partner would drive or an ambulance would be called. Out of hospital providers will transfer to hospitals where they have a working relationship with the homebirth community. Due to the communication between providers the transfer is usually low risk and very smooth for everyone. Information is power. Once the you can understand the expectations and limitations of your provider and location you can move forward to either change the expected experience or to make requests in order to have an empowering birth outcome. Some questions and requests your provider will be able to address for you and others will need to go through official hospital channels. Many hospitals have a birth advisor position for specific requests and needs. I encourage you to be proactive and ask questions now rather than just trusting the system. You are your own best advocate.